For Fall socials, this elegant and earthy local canapéwill please friends. The trout is aromatic and complex. The flavored butter gives a perfect velvety mouth feel companion to the oils and flavor of the fish. After brining and drying the trout, place the fish in a smoker with plenty of space between the pieces so that the smoke can waft about evenly. Use Pecan wood at 2000F and smoke it for 3 to 4 hours. The fish must reach an internal temperature of 1500F. Remove the fish from the heat and cool it down completely, removing all bones and skin. It will keep refrigerated for several days. Or you can freeze it for weeks. Slice the fish into small strips. 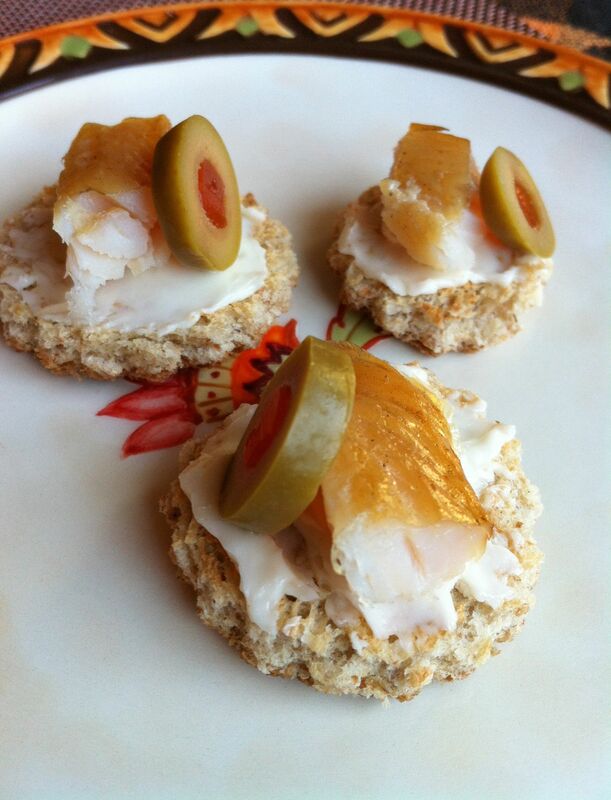 Place atop horseradish-buttered rye toast rounds garnished with sliced green olives stuffed with pimiento. The brininess of the olives is great with this. After squeezing out excess liquid from the horseradish, blend all the ingredients together well. The butter can be held, covered tightly, in the refrigerator until you are ready to make the canapÃ©s. Soften the butter a bit after taking it out of the fridge so it will spread easily. I suggest enjoying it with a crisp dry Riesling.